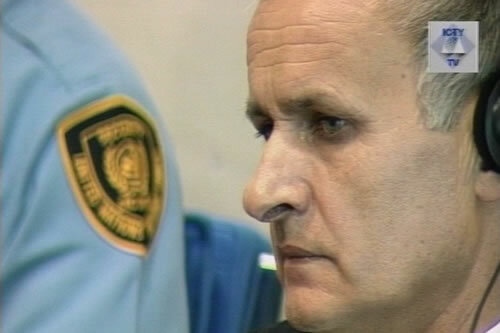 Brief Update: Serb General, Radislav Krstic, who was originally awarded 46-year prison term for his involvement in Srebrenica genocide, is currently serving appealed sentence of 35-years in prison for aiding and abetting Srebrenica genocide. 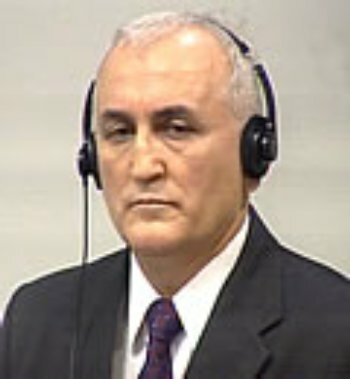 Serb Colonel Vidoje Blagojevic is currently serving his 18-year sentence for complicity in Srebrenica genocide. 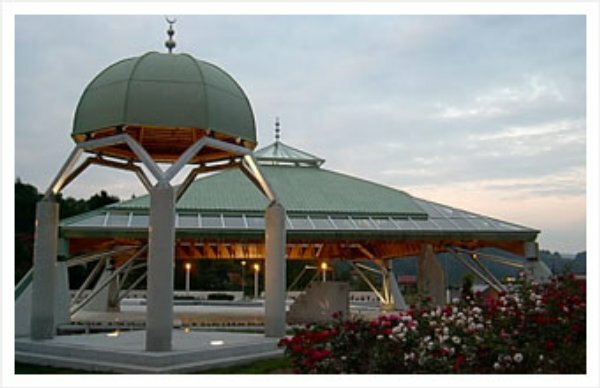 Seven other Srebrenica genocide suspects are on trial; an eight suspect remains on the run. 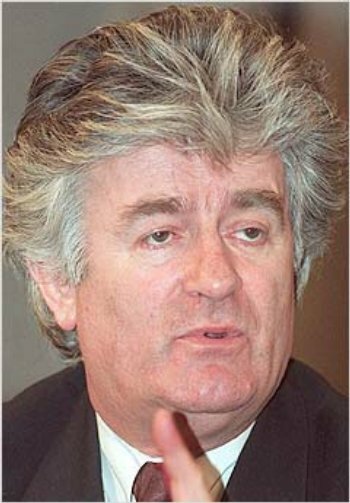 Other Srebrenica genocide suspects on the run include Serb Gen. Ratko Mladic and former Serb leader Radovan Karadzic. 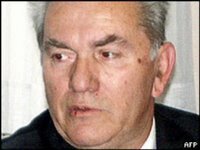 Ratko Mladic hid in Belgrade until January this year. 11 persons accused of Srebrenica genocide are currently on trial in Bosnia-Herzegovina. THE HAGUE, Netherlands -- Judges at the United Nations' War Crimes Tribunal on Friday - July 14th - began the latest and largest trial of military officers blamed for the summary execution 11 years ago of over 8,100 Bosniaks in Srebrenica. Charges of genocide make the case against the seven former Bosnian Serb officers one of the most important in the tribunal's history, especially following the death of former Yugoslav President Slobodan Milosevic four months ago before his own genocide trial could be completed. Tribunal chief prosecutor Carla del Ponte was to give an opening statement Friday before the court adjourns for its summer recess. The case is due to resume in late August. The trial began in the week that the town in eastern Bosnia -- which the U.N. had declared a safe haven -- marked the anniversary of that July week in 1995 when Bosnian Serb forces massacred over 8,100 Bosniak men, elderly and children there. 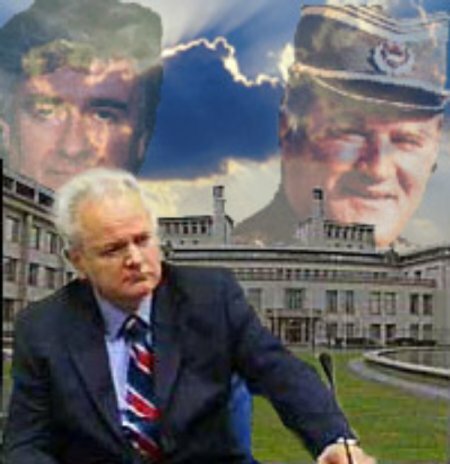 It once again highlights the tribunal's failure to capture and put on trial the two men viewed as chief architects of the slaughter -- former Bosnian Serb leader Radovan Karadzic and his military chief Gen. Ratko Mladic, who have been on the run for more than a decade. Earlier this week, 505 bodies exhumed from mass graves were reburied in Srebrenica after painstaking efforts to formally identify them. Thousands wait for DNA identification, while others are missing. Del Ponte attended Tuesday's commemoration in Srebrenica, partly to focus attention on efforts to have the two chief suspects arrested. "I'm here for the ceremony, for the victims, for the survivors and for the criminals Karadzic and Mladic who are still at large," she told reporters. The Hague-based court has staged only a handful of trials dealing with the Srebrenica atrocities, but made the landmark ruling that Bosnian Serb forces waged a campaign of genocide in the eastern Bosnian enclave. 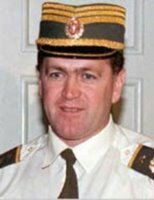 Gen. Radislav Krstic, Mladic's deputy, is serving a 35-year prison term for aiding and abetting genocide, and Col. Vidoje Blagojevic is appealing his 18-year sentence for complicity in genocide. The suspects in the case which begun July 14th are: Vujadin Popovic, Ljubisa Beara, Drago Nikolic, Ljubomir Borovcanin, Radivoje Miletic, Milan Gvero and Vinko Pandurevic. 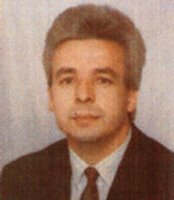 An eighth suspect, Zdravko Tolimir, remains on the run. Each faces eight counts, ranging from genocide to murder and persecution. All have pleaded not guilty. They face maximum life sentences if convicted. Although the defendants have entered their pleas, opening statements in the trial are not due until after the tribunal's summer recess. The case was adjourned until opening statements on August 21. Six men have so far been convicted over the Srebrenica massacre, and two of those on genocide charges. "It is good that a few senior people are going to be held hopefully to account, because so few have been," said Avril McDonald, an international law expert at the Hague-based TMC Asser Institute. The allegations are hauntingly familiar from television images; Muslim men and boys separated from women and ferried away by bus to locations including schools, farms and river banks around the Srebrenica enclave. There, they were gunned down and their bodies plowed into mass graves. In one of several massacres listed in the indictment, Bosnian Serb special forces summarily executed more than 1,000 men who had been captured and imprisoned in an agricultural warehouse in the village of Kravica. "The soldiers used automatic weapons, hand grenades, and other weaponry to kill the Bosnian Muslims inside the warehouse," the indictment alleges. The victims' bodies were dumped in two mass graves 11 years ago - on July 14 1995. War crimes fugitive Ratko Mladic hid in modest flats in the Serbian capital until January this year, according to an indictment against 10 people accused of helping him, the daily Politika reported on Wednesday. Quoting a source who saw the indictment, Politika said it lists the addresses of flats where the former Bosnian Serb Army commander hid from mid-2002 to January 2006. Mladic is accused of genocide in the Bosnia war. Serbia must deliver him for trial to the United Nations war crimes tribunal in The Hague in order to resume suspended talks on closer ties with the European Union. "It is matter of five or more flats in (the neighbourhood of) New Belgrade, and the persons who helped Mladic paid the rent and supplied him with food," the daily quoted its source as saying. The flats Mladic used were "relatively modest", with rents of up to 400 euros (274 pounds) per month, Politika said. New Belgrade is a densely populated area, built in the 1960s as a dormitory suburb of concrete high-rises. 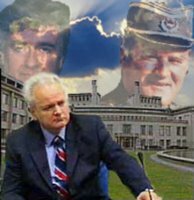 A flurry of reports earlier this year said Mladic had been tracked down and was negotiating surrender, but nothing came of them. 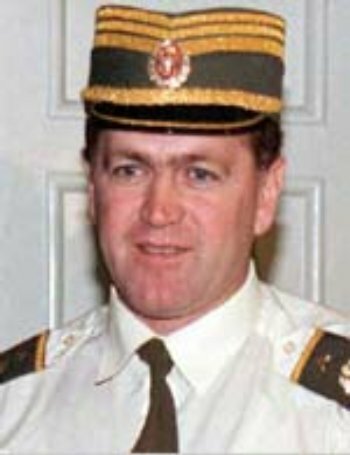 The government said Mladic had virtually no helpers left and was now on the run, whereabouts unknown. The European Union suspended pre-membership talks with Serbia in May because it had failed repeatedly to meet deadlines for the handover of Mladic, who is twice indicted along with his wartime political boss Radovan Karadzic, also at large. Serbian Prime Minister Vojislav Kostunica this week presented a plan to find and deliver Mladic, which EU officials said could get talks restarted if Belgrade's efforts to implement it were convincing. It includes a shake-up of the security services, passing of new legislation, and an operative part which is secret, officials said. Mladic and Karadzic are wanted for the Srebrenica massacre of over 8,100 Bosniak men and children and the 43-month siege of Sarajevo. (see Sarajevo Photo Tour, Summer 2005). Sarajevo was under siege longer than any other city in modern history -- longer even than Stalingrad. The seven men and three women indicted for helping Mladic were arrested following a military intelligence report which listed some 50 people who allegedly helped hide the fugitive, who was last seen in army facilities in mid-2002. 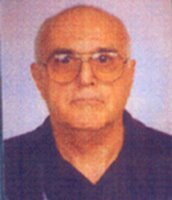 The indictment lists a former officer of the Bosnian Serb army who was arrested in January as the key man who organised Mladic's hideouts in Belgrade. 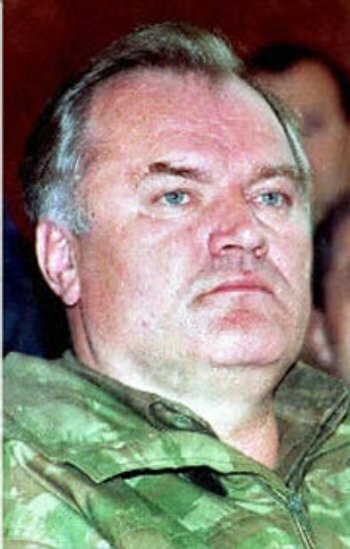 Mladic has been on the run since 1995 when the United Nations war crimes court charged him with genocide for his part in the Srebrenica massacre. Carla Del Ponte, the chief U.N. prosecutor, has repeatedly accused the Serbian authorities of knowing Mladic's location, claiming they could have arrested him before he disappeared again. 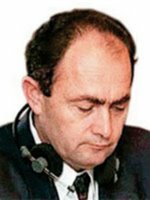 Presiding Judge Hilmo Vucinic and the two foreign judges comprise the Judicial Council in Srebrenica massacre case in which 11 individuals stand accused of Genocide. Tomislav Dukic, a prosecution witness in the case against 11 persons accused of killing around a thousand Bosniaks in Kravica in July 1995, testified that the principal defendant Milos Stupar was seen in the vicinity of the farmon 13 July 1995, the day of the massacre. Witness Dukic is a former member of the Armored Platoon of the Second Squad of the Sekovici Special Police, which was deployed along the road near Kravica during the attack on Srebrenica in July 1995. Several prosecution witnesses who testified earlier claimed that Stupar was a commander of the Second Squad of the Sekovici Special Police until mid-July 1995. 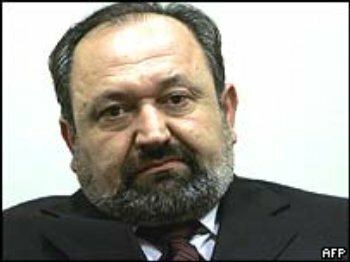 The indictment, confirmed on 19 December 2005 before the Bosnia-Herzegovina Court, accuses Milos Stupar, Milenko Trifunovic, Petar Mitrovic, Brana Dzinic, Aleksandar Radovanovic, Slobodan Jakovljevic, Miladin Stevanovic, Velibor Maksimovic, Dragisa Zivanovic and Branislav Medan of "being members and deliberate perpetrators of a joint criminal enterprise aimed at forcefully evicting women and children from the Srebrenica enclave…and to capture, detain, execute by summary procedure, bury and re-bury thousands of Bosnian Muslim men and boys."